Updated 31/03/2019 with safety tips and re-visited ‘best picks’ section (we added new kids’ electric scooters to the list). Enjoy! Once upon a time, bikes, trikes, skateboards and skates were all there were in the world of ride-ons. But then, as us humans like to do when things start getting stale, someone decided to throw skate wheels on a skateboard, add some bike-like handlebars and call it a kids’ scooter. Maybe they were sick of pedaling, or just scared of skating, in need of something to hold on to for extra safety. Or, possibly, they were a supermom or a handy dad looking to give their kid a one-of-a-kind, never before seen kind of present. Either way, much like the bike, it has since evolved into a motorized must-have mode of transportation for anyone under the age of eighteen —and sometimes older. Speedy. Scintillating. Safe. Electric scooters are one of those go-to goodies that fuses fun with functionality, offering lessons learned through the thrills of steering and acceleration, all while giving your kids a fulfilling and responsible sense of freedom. This one’s pretty self-explanatory. 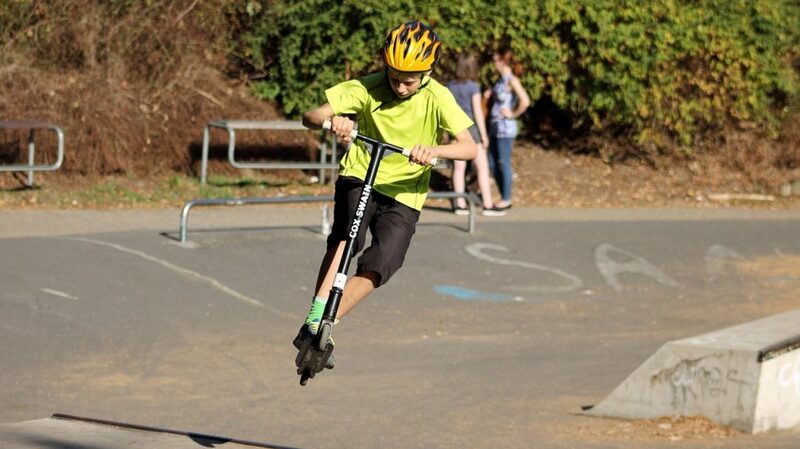 If your kid is an adrenaline junkie in the making, or is at least 11 or so years old, then you’ll want to consider a scooter that can really get up and go. 15 miles per hour is about the maximum speed you’ll find on most non-professional-style electric scooters. (And it’s a speed that we think is ideal for your speed needy 11 to 17 year old —or even for yourself, if you’re looking for an easy way to get around.) 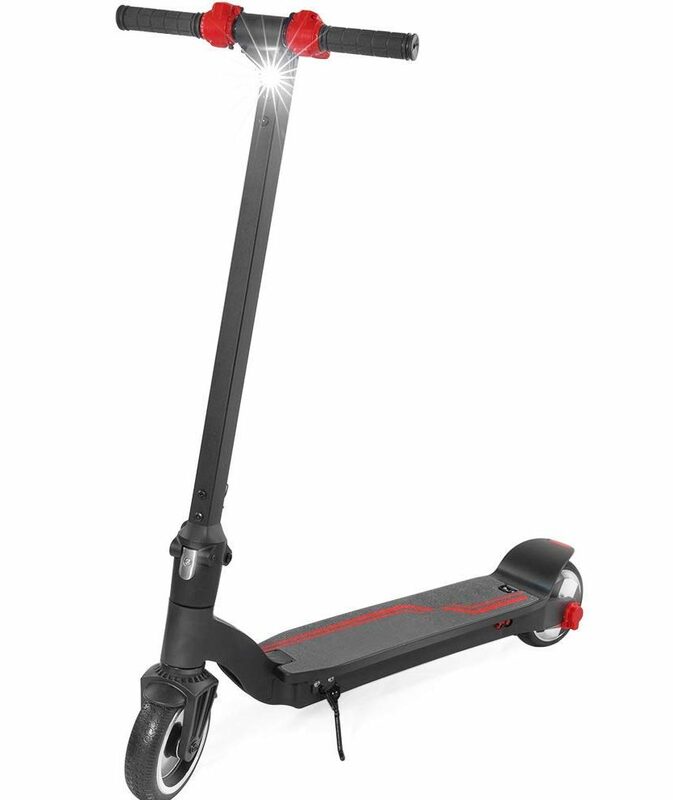 If your kids are a bit younger though, or maybe a little under-experienced behind the handlebars, then you might want to consider an electric scooter that tops out at around 9 or 10 m.p.h. Safety is almost always assured as long as the proper accessories are worn at all times. Helmets. Kneepads. The appropriate shoes. Us parents have to be persistent. In terms of the scooters themselves though, you’ll want to look for easy-to-use, hand-operated rear brakes; a twist-grip throttle; appropriately sized tires —pneumatic for the faster ones —and a retractable kickstand for safe riding and easy storage. The look and feel of the best electric scooter is key in regards to your kid’s preferences and its overall performance. Check the dimensions, the age range, the maximum weight. Is your kid too small? Too big? Does the scooter come with a full-to-wide-sized deck and frame for optional footing? Do they need a dual platform? These are the questions you should be asking yourself while reading our electric scooter reviews. Shoddy craftsmanship often makes for unsafe rides and underperforming products. Luckily for you, most ones listed in our electric scooter reviews are made by Razor, thus ensuring scooters constructed with steel-made frames; high-torque, chain driven motors and built-to-last batteries —as long as they’re properly charged. It’s a fact, the fun had on an best electric scooter is directly reflected by the life of its battery. Bad battery? No fun. 5 minutes of ride time per 12-hour charge? Even worse. Look for long-lasting, high powered batteries to ensure that you and yours will be having a blast every time you take that scooter out for a spin. Since the beginning, they’ve been the best in the business, selling over 5 million original scooters in their first six months of operation —and 35 million since 2010 —all while attaining award after award, year in and year out, including numerous Toy of the Year, iParenting Media and National Parenting Publications awards, as well as a bevy of other Best Of’s. 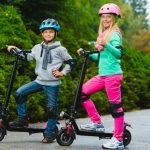 As a tribute to these Frankenstein-like forms of kid-friendly transportation, and as a helpful guide for curious moms and dads, we’ve sought out and found 8 of the best electric scooters available on the market today and reviewed each one for your convenience. With a high number of positive reviews on Amazon, Razor Power Core E90 is one of the most liked electric scooters among kids. 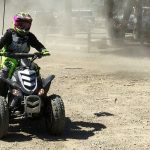 This is because it features a new power core technology and engineering that improves ride time and provides up to 50 percent more power as compared to its predecessors. 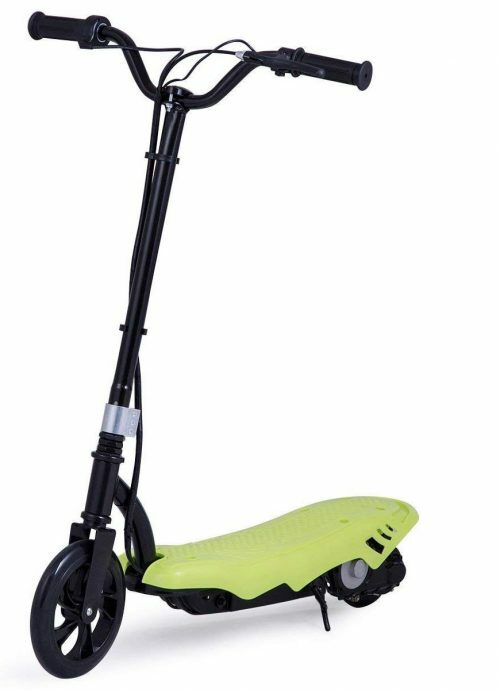 This electric scooter is recommended for children of 8 years and above and can support riders of up to 120 pounds. Moreover, it is maintenance free and does not need any wheel alignment, chain, and chain tension services. With the scooter, kids will have unrestricted ridding fun. It also comes with power core hub motor that is super quiet, maintenance-free, and powerful enough for both your kids and your neighbors’ kids. With its push-button acceleration control and foot-operated front brakes, your kid will definitely have a smoother stopping capability as this type of braking is similar to what your children might have experienced earlier in kick scooters. It also comes equipped with a 12V securely sealed acid battery that is rechargeable to support the scooter’s speed of up to 10mph and ride continuously for 80 minutes. Other than that, it comes with its own battery charger. Even though some basic assembly is required, you will find the process easy and fun. Let your kid join your neighbors’ kids on their evening riding sessions by buying this electric scooter. Stepping up the speed, we’ll now proceed to the Razor E100, the first of four E-Numbered scooters on the list. If the Razor E90 was for beginners, then the E100 is for those other 8 to 12 year olds with only slightly more experience, as it features hand lever brake, just like those found on motorcycles. Another change as compared to E90 is the throttle: the E100 uses twist-throttle on the hand grip. Topping out at 10 miles per hour, its all-steel frame and fork are driven by a high-torque, chain-driven motor that requires a kick start and is thrown forward by an easy-to-use, twist-grip throttle —located on the opposite side of the hand-operated front brake. Its full-sized foot plank is great for heel-to-toe or side-by-side foot styling. The urethane rear wheel is quite durable, as is the 8-inch pneumatic front one. And its 24-volt rechargeable battery (charger included) works for up to at least an hour of continuous use on a single charge. On a less positive note, the aforementioned front wheel brake doesn’t work quite as well as it should —because of its positioning and because it relies on the riders grip strength for use. The rear wheel is slick on slippery surfaces —like grass and gravel. And the hood of the drive chain —located at the back of the scooter —can and will drag on tight turns. Max weight is around 120 pounds. Dimensions are 32.5”x 16”x 36”. Some adult assembly is required. Comes with a retractable kickstand for easy parking and storage. Needs at least 12 hours of charge time before initial use. Have you sensed a theme yet? That’s right, it’s speed. The E100 increased by a single m.p.h. over the Trikke E2 and now we increase by two with the E200 —which means, with a high-torque, chain driven maximum speed of 12 miles per hour, we can increase the age limit as well, up to 11 plus. Many of its other aspects are also quite similar. Twist grip acceleration. Full-sized deck and frame —for side-by-side foot styling. All-steel (read: durable) frame and fork. 24-volt rechargeable battery (charger included) that works for up to at least an hour on a single charge. What isn’t equal, however, are the two 8-inch pneumatic tires —located in the front and the back —which is part of what makes it go vroom, vroom, vroom. Speaking of which, its hand-operated rear brakes are a vast improvement over the front one of the E100. It’s also bigger —dimension are 37″ x 16″ x 42”—and it can hold a heavier weight —up to 160 pounds, max. Some adult assembly is required. Comes with a retractable kickstand for easy parking and storage. Needs at least 12 hours of charge time before initial use. Here we are. The fastest in the fleet. The Razor E300 and their newer brother e325. They’re definitely one of the best – if not the best electric scooters available. Wide, 10-inch pneumatic tires and a super-sized deck make it easy to ride and its 24-volt rechargeable battery system (charger included) means that you can do so for at least an hour on a single charge. Would you or your kids prefer the option of standing or sitting while riding your all-steel, high-torque, chain-driven, twist-grip accelerated, rear braking scooter at maximum speeds of 15 miles per hour for up to an hour at a time on a single charge? Then consider the seated Razor E300. 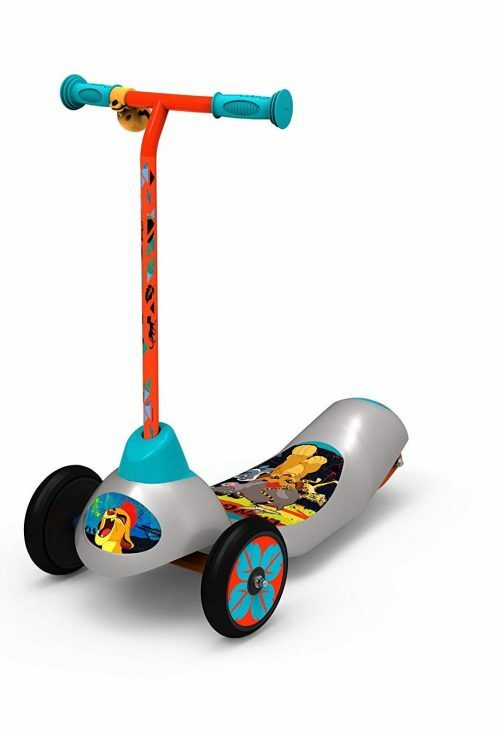 If you are planning to get a birthday present for your three-year-old kid, Pulse Performance 3-wheel scooter is the best choice. This scooter comes with 3 wheels that not only provide easy control but also assures your little one of a safe ride. 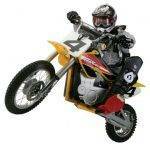 It comes equipped with a 6V battery that takes 8 hours to recharge fully and offer up to 40 minutes of riding fun. It also comes with a Safe Start feature that allows your kid to enjoy a smooth acceleration and deceleration of a speed limit of 1.75mph. The spacious deck and its 42-degrees range of steering will also ensure that your kid enjoys safe maneuverability with the three wheels for a safe smooth ride on the sidewalks. The deck is 3-inches lower than in the normal scooters for extra stability. With a reliable customer service, a replacement of parts, and a 90-day limited warranty, you can get the 3-wheel scooter certain that your kids will love riding it. 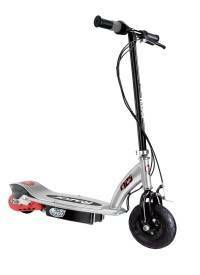 Another solid product on our list is the Costzon electric Scooter, which is designed for kids 7 years and above. It is built using a heavy-duty steel frame that provides additional stability and durability. Its maximum speed is 8mph, which is ideal for children to ride comfortably and securely yet capable of producing more excitement. It comes with two rechargeable 12V batteries that can take between 6 and 8 hours to recharge fully. Once fully charged, your kids will be able to ride for 6 to 10 miles. It also comes with its charging cord. The non-slip ergonomically designed handles allow easy controlling while the front brakes will allow your kids to stop easily. It also features a kickstand for off and on the go riders. Moreover, it is lightweight, which means that a kid can even push to wherever they want. This makes it ideal for students, running errands, sightseeing, and going around your neighborhood. From the reviews available online, kids seem to love this electric scooter. This is also one of the better-reviewed kids’ electric scooters on Amazon, and you definitely don’t want your little one to miss what others are experiencing. With a top speed of 12.4 mph, your kids can efficiently have fun riding to and from school every morning and evening. XPRIT Folding Electric Kick Scooter’s frame is constructed from full aluminum alloy to make it durable and lightweight for easy carrying as well as fast acceleration. With a single battery charge, your kid can ride up to 13 miles while supporting a maximum weight of 200 pounds. It also comes with an LCD display that can help your kid know the battery percentage. 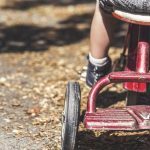 This means that your kid won’t be stranded far away from home because he or she can always ride home when the battery goes below a specified percentage. As such, this electric scooter is perfect for short distance commuting in addition to allowing your kid to have fun around your home. The scooter’s foldable design also makes it easy to carry around and store. Electric scooters that we’ve just covered not only offer kids a fun way of getting from one place to another but also help at enhancing balancing skills and risk management. 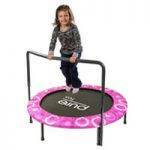 Moreover, they provide a thrilling way for children to enjoy their required daily exercises. Make sure that your kids always wear a protective headgear when riding an electric scooter. A helmet will protect your kids from severe head injuries in the event of an accident. We recommend checking out kids’ helmets made by Razor as they’ve been proven to offer very good protection for our little love ones. I suffered a lot of bruises and scrapes on my elbows and knees when I was growing up. Luckily, today we have a number of knee and elbow protective gear that are available for children. If you do not want your kids to go through what I did by accidentally falling off a scooter, make sure they are wearing both knee and elbow pads whenever they are riding an electric scooter. Before your kids go riding on the tarmac and pavements around your home, ensure that they have acquired enough skills in maneuvering and braking. 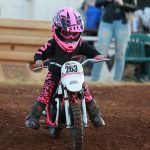 These are some of the most important skills that kids need to avoid running into obstacles, people, cars, or animals when they are riding. Without proper braking and maneuvering abilities, kids are likely to hit people or other obstacles when they go scooter riding. You won’t understand the importance of wearing appropriate shoes when riding a scooter until you scrap on the ground or get jammed on the wheels. Sandals or open shoes are not appropriate for scooting. Going barefoot isn’t cool either. As such, make sure that your kids wear shoes that completely cover their feet in order to avoid injuries to the toes. Having the right size scooter on the pavement is very important. If your kids have a big sized electric scooter, they are likely to have a hard time controlling it. Similarly, they are likely to break or burn the motor out if they are riding a scooter that is too small for them. When having fun, kids tend to get distracted. Sometimes, kids are not mindful of where they are heading or what is around them. However, roads and sidewalks have other users such as motorists, pedestrians among others. When having fun on these places, kids must ensure their eyes are always focused ahead to see what is coming their way. Moreover, it is imperative for kids to ride scooters in a group since it is easier for motorists to spot a group of scooter riders as compared to a single rider. Razor E300 is the way to go! Everyone in our family keeps riding it ?